Members of the Athol Bird and Nature Club enjoyed a picture perfect spring day touring the Quabbin May 5, 199, in search of spring birds and enjoying the natural history of the area. . Meeting at the MDC field office members observed wild turkey, chipping sparrow, tree swallow, phoebe, northern cardinal, black-capped chickadee, and yellow rumped warbler. Led buy club president and MDC Forest and Park Regional Coordinator Dave Small the group made its first stop at Jonathon’s Bridge on Faye Road. The Middle Branch of the Swift River forms a low shrub swamp known as Brown’s Meadow. This is one of the most reliable places in the area to observe the uncommon alder flycatcher. The identifying “fee-be-ooh” call of the diminutive flycatcher was heard as the group watched the bird. Also at Brown’s Meadow were: Baltimore oriole, yellow warbler, swamp sparrow, double-crested cormorant, common Yellowthroat, American goldfinch, red-winged blackbird, cedar waxwings, red-eyed vireo, black and white warbler, and catbird. Entering Quabbin’s gate 29 the group ran into a flock of migrating warblers which included northern Parula, Blackpoll, chestnut sided, yellow-rumped and magnolia warblers, American redstart, ovenbird, purple finch, great-crested flycatcher, least flycatcher, American robin, blue jay our first red-tailed hawk of the day and common grackle. At the Quabbin shoreline Canada geese and two common loons were observed. With the aid of spotting scopes we were able to observe that one loon was sitting tightly on a nest. Quabbin has a steady breeding population of these charismatic denizens of New England’s northern lakes. Other birds added to the days growing list included northern rough-wing swallow, scarlet tanager, rose-breasted grosbeak, eastern kingbird, American crow, and yellow-bellied sapsucker. After a quick but enjoyable stop for coffee at the New Salem General Store the group entered the Prescott Peninsula. This area which is closed to the public is used by the many of the states colleges and universities as a research site allowing a safe environment for both students and their equipment. 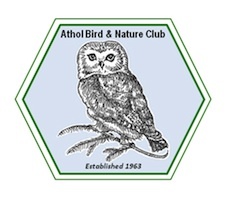 The Athol bird and Nature club is one of four bird clubs state wide that are allowed limited vehicle entry into the reservation annually. Under warming skies butterflies attracted the group’s attention. These included clouded Sulphur, tiger swallowtail, silvery blue, eastern tailed blue, juvenile’s Duskywing, dreamy Duskywing, spring azure, pearl crescent, cabbage white, red admiral, Spicebush swallowtail, and common ringlet. A highlight of the day was the sighting of an olive-sided flycatcher an uncommon migrant stopping briefly in the area on it’s migration to the breeding ground in the boreal forests of northern New England and Canada. The bird list continued to swell through the day with hooded merganser, Veery, ruby throated hummingbird, Canada warbler, flicker, Pileated woodpecker, wood duck, blue-winged warbler, and yellow-throated vireo added to the list. Leaving the Prescott Peninsula the group stopped in New Salem at Oliver Twists for a delicious ice cream, which was enjoyed at the New Salem Recreation Commission over- look near the common. With spectacular views of the northern part of the Quabbin Reservoir, Mount Monadnock and Wachusett Mountain the group watched Turkey Vultures, red-tailed, and broad winged hawks cruising the skyline, while indigo buntings, tufted titmouse, rose-breasted grosbeaks, and a ruby-throated hummingbird foraged in the nearby forest. A peaceful conclusion to a wonderful spring day. The next club event will be June 9th at 7:00 PM at the Harvard Forest Fisher museum. The evening’s program “Birds on the fence” presented by Steve Arena will discuss some of the rare and declining breeding birds in Massachusetts. Sunday July 25th there will be an all day workshop on Summer Dragonflies and Damselflies in Petersham. This free workshop will be taught by Cape Cod’s “Ode News” Team and is one of our most popular summer events.